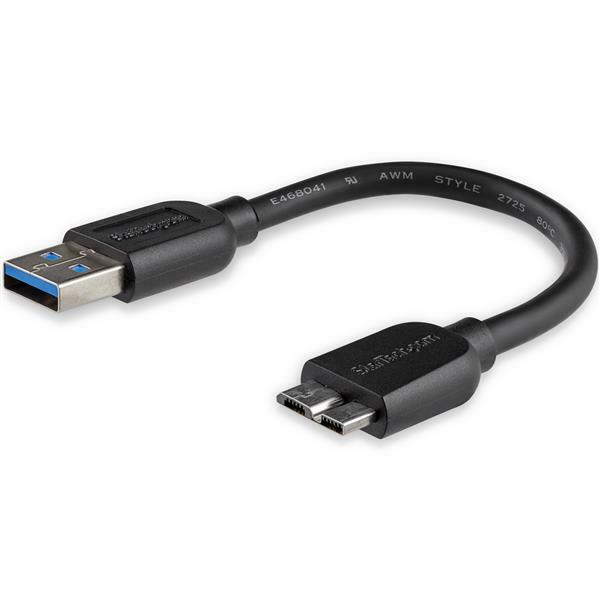 Does your regular USB 3.0 cable lift or push against your external hard drive causing it to move around on your desk? Are you forced to arrange your desk according to how your cable decides to bend and rest? Stop removing the case from your phone or tablet every time you charge or sync your device. 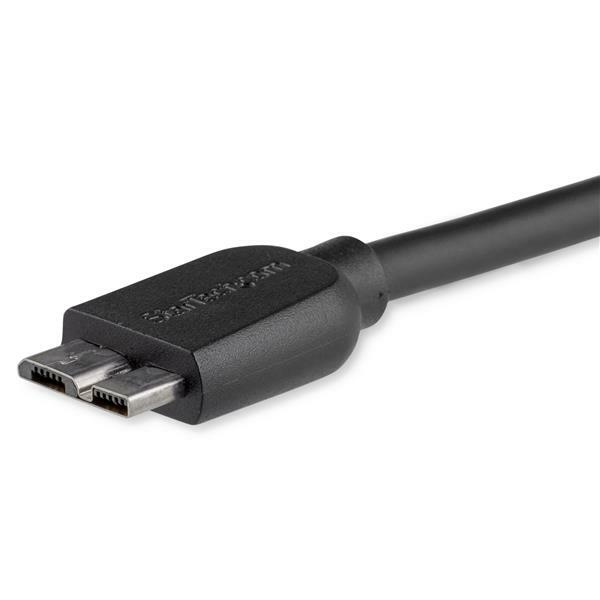 The cable offers a thin Micro USB connector molding that plugs into your device even while it’s inside a protective case. 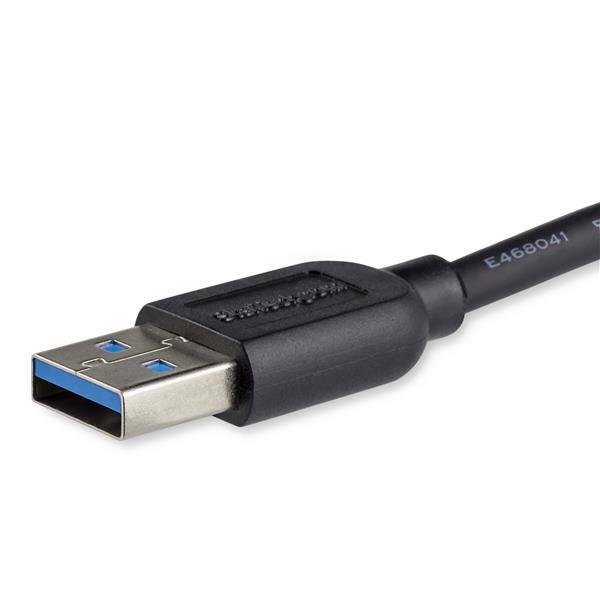 This Micro USB 3.0 cable is backed by StarTech.com’s Lifetime warranty for guaranteed reliability.